If in the future you find yourself in the worst of situations where there are no longer stores to buy things you need, or even factories to produce items, what will you do for simple things like deodorant? Sure you can stock up now but deodorant and antiperspirants usually expire in 3 years if stored properly and as quickly as 12 months after being opened. So what will you do then? Turns out the answer is as simple as planting a lime tree. Yes, it’s true. 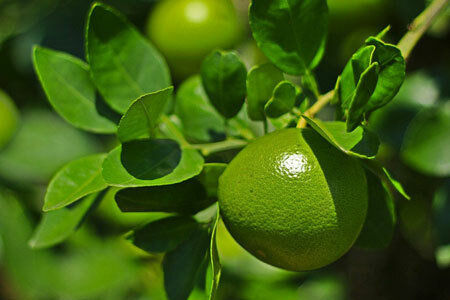 Limes are great at neutralizing odor and sweat. Lime juice is an antibacterial so it works great as a natural deodorant since bacteria is what causes the odor when we sweat. The idea of using limes as a deodorant has been around for hundreds of years but made popular once again by beauty blogger Farah Dhukai. To apply simply cut a lime in half and rub it on your armpits. Some people have put the juice of a lime into a spray bottle and applied it that way, but it really is just as simple as rubbing half of a lime directly to your pits and you’re good to go. A few very important words of warning. Limes are all natural. So you don’t risk any chemical reactions. That’s a good thing but that being said, keep in mind that limes are highly acidic (which is what kills bacteria), so don’t use it directly after shaving. It will be painful and cause quite a bit of irritation. You shouldn’t have any irritation problems if you don’t apply to freshly shaved armpits. Limes have been known to make your skin photosensitive, so if you use lime juice as a deodorant, don’t expose your armpits to the sun. It can cause your skin to burn. This is also why it’s important you wash your hands and other parts of your body that might have gotten some lime juice on them after applying to your armpits. This part is very important — Lime juice can cause burns on the skin when exposed to sunlight so please make sure that any area exposed to sunlight is rinsed off thoroughly such as your hands, or the surrounding skin of your arms. The last bit of advice is to wait for the lime juice to fully dry before getting dressed. You don’t’ want to risk the lime juice dripping onto your clothes and accidentally causing bleaching or discoloration stains. Next: Next post: What legally is the smallest house you can build in Texas?